There’s no denying it. It’s official. We are fully IN Coat Weather now. Shivers are in the air and Christmas stuff is already hitting the shelves. Autumn/Winter is here. It’s no longer enough to wear just a jacket outside – my blazer, cardigan, shirt combo will no longer cut it. Without a coat, I quiver like a shaken jelly once the sun goes down. And that my friends, is naht a good look. Given that I’ve spent the past couple of weeks grasping onto the last of summer, I thought it was only sensible that I get a proper winter coat. You know the kind – thick, warm, heavy and comforting. A sensible coat for the winter weather. 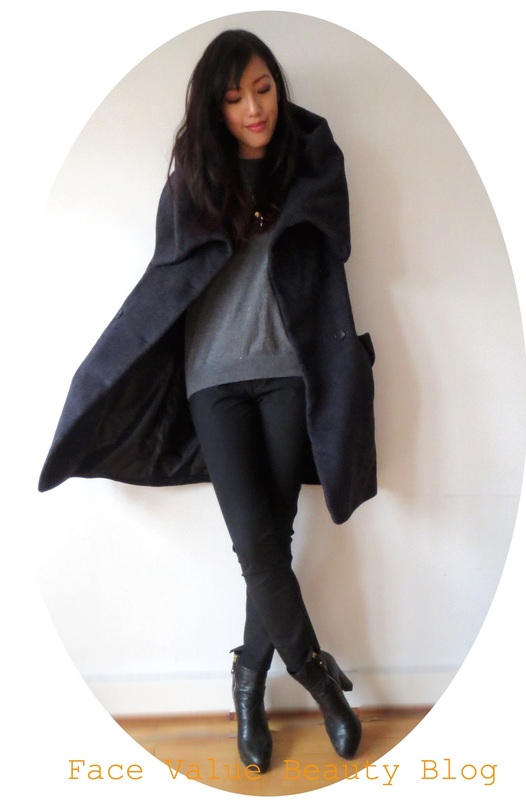 So I spent the past few weeks going from shop to shop looking for ‘the perfect coat’. It’s surprisingly really easy to shop when you only need one thing – this MUST be how men feel!?! And enter the results of my coat searching. 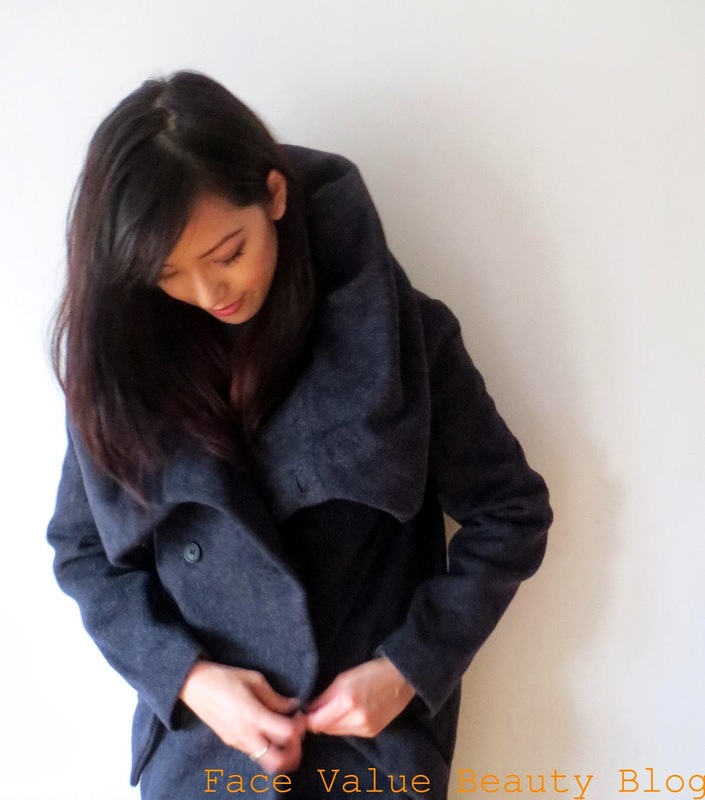 This lovely blue/grey oversize coat from Zara. HIYA. This Zara Coat has a wonderfully dramatic, oversize collar which can either be worn down, around your shoulders like a shawl, or you can bunch it up to create a funnel neck. I like choices in a coat. I prefer to roll it up, for many reasons. Mainly because it makes me feel like I’m some sort of mafia don, but also because it makes it much warmer and snugger – it’s like having a scarf on!! It’s a faux-double breasted coat, which normally are a bit too wide for me, but the oversize cut means that it’s not meant to look like it fits. Ideal. And yes, that little glimmer of sparkle amongst the winter colours is THIS little beauty. 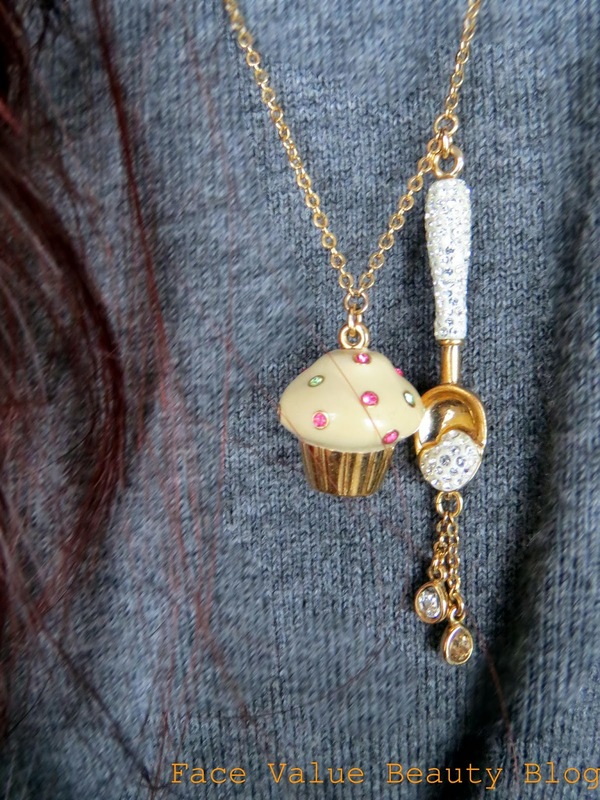 Given to me for my birthday, this adorable Swarovski cupcake and spoon charm is amazing! I hope I never, ever break it! Have you brought your coat out from the cupboard yet? What do you think of the oversized look? Would you wear this collar rolled up or down? And do you ever freak out about wearing your nicest things in case you break them? Or is it just me…? Previous Post MONEY MONDAY: Help! What is the Help To Buy Scheme?